United Way of Southwest Wyoming is promoting Diaper Need Awareness Week, September 24th through September 30th, with a community diaper drive. Collected diapers will be dispersed through the Community Diaper Bank of Sweetwater County. The Community Diaper Bank accepts new and opened packages of diapers in all sizes as well as wipes. Drop off locations in Rock Springs: White Mountain Library, Rock Springs Library, Rocky Mountain Bank, Trona Valley Federal Credit Union, and Powertrust. Green River: Sweetwater County Library and Trona Valley Federal Credit Union. Diaper need is the lack of a sufficient supply of diapers to keep an infant or toddler clean, dry and healthy. Over 330 families used the Community Diaper Bank of Sweetwater County in 2017. Through a partnership with the Foodbank of Sweetwater County, any family in need can receive one package of diapers per child during Food Bank distribution days in both Green River and Rock Springs. Diaper Need Awareness Week is a collaboration between the Community Diaper Bank of Sweetwater County and the National Diaper Bank Network to help address diaper need in our community. Proclamations were signed by Green River Mayor, Pete Rust and Rock Springs Mayor, Carl Demshar to show support for this event. Diaper Need Awareness Week recognizes that small things like diapers can affect big things, such as a family’s physical, mental and economic wellbeing. “Families in need fall short an average of 19 diapers each month. Because of the community’s support we continue to close the diaper need gap in our community,” said Frink. 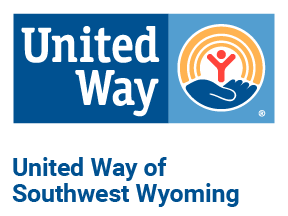 United Way of Southwest Wyoming is promoting Diaper Need Awareness Week, September 24th through September 30th, with a community diaper drive. Collected diapers will be dispersed through the Community Diaper Bank of Uinta County and the Community Diaper Bank of Bridger Valley. The Community Diaper Bank accepts new and opened packages of diapers in all sizes as well as wipes. Drop off locations in Evanston: Union Wireless and Uinta B.O.C.E.S. #1 Building. Drop off locations for Bridger Valley: Union Wireless and Lyman Town Hall. Diaper need is the lack of a sufficient supply of diapers to keep an infant or toddler clean, dry and healthy. Through a partnership with Uinta B.O.C.E.S. #1, diapers are distributed the first Monday of every month from 12 PM – 5 PM in room 103. The Community Diaper Bank of Bridger Valley distributes diapers out of the Lyman Town Hall the first Tuesday of every month from 12 PM – 3 PM. Diaper Need Awareness Week is a collaboration between the Community Diaper Bank of Uinta County, Community Diaper Bank of Bridger Valley and the National Diaper Bank Network to help address diaper need in our community. Proclamations were signed by Evanston Mayor, Kent Williams and Lyman Mayor, Bronson Berg to show support for this event. Diaper Need Awareness Week recognizes that small things like diapers can affect big things, such as a family’s physical, mental and economic wellbeing. “Diaper Need Awareness Week allows us to get information out to individuals in need as well as, educate the community of the need. Families in need fall short an average of 19 diapers each month. Because of the community’s support we continue to close the diaper need gap in our community,” said Frink.